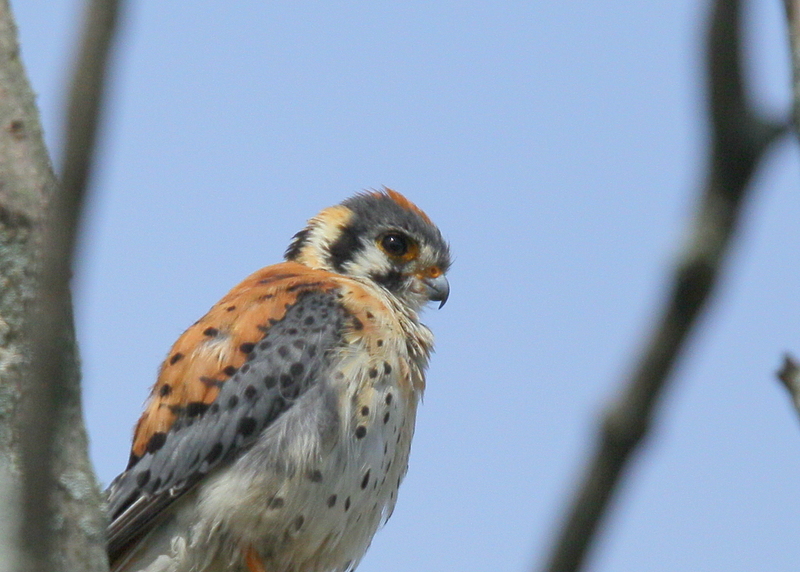 The male kestrel has ben making a return to its regular perch on the north side of the Merrimack River just on the west side of the Duck Bridge. The tree is located at the south end of the buildings that will be developed in the next phase for Union Crossing housing. 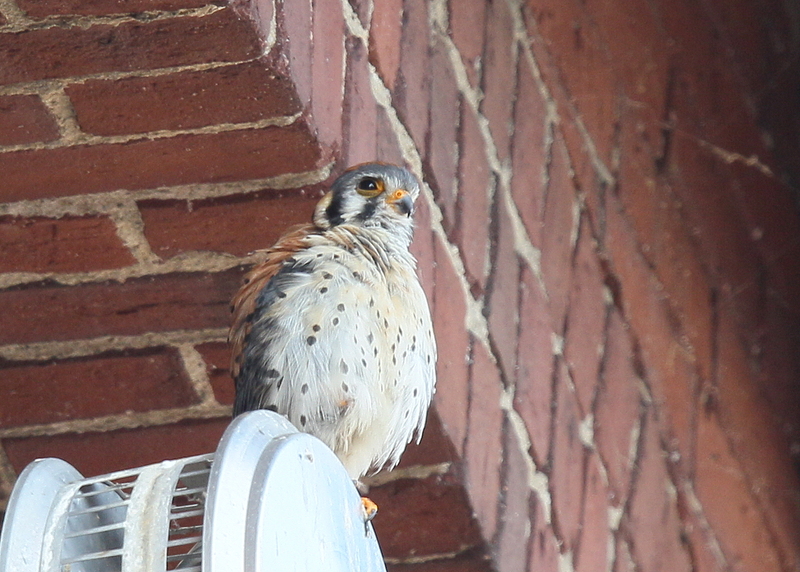 A male American Kestrel has been perching atop an air vent in the Union Crossing complex on the east side of the Duck Bridge next to Union Street. This perch allows the male to remain within view of the nearby fledglings in the nest location across the street!